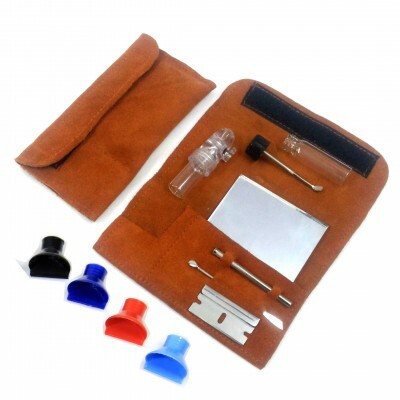 Here we offer the high quality leather snuff kits, popularly known as life style snuff kit. 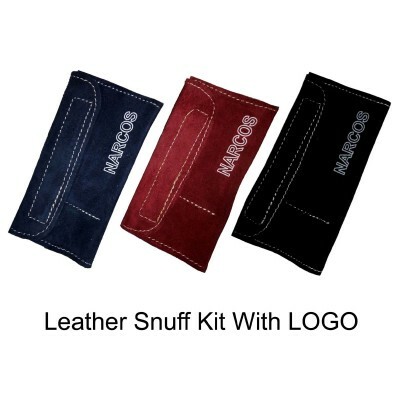 Our snuff kits are the high quality kit unlike a lot of the cheap versions around , they come in a 12cm x 14 cm suede leather folding wallet style case which closes with Velcro. Available in 20 different colors the most popular colors are mid night black, dark tan brown, light brown, sea green color, purple, pink, aqua blue, beige, midnight black leather snuff kit, aqua blue leather snuff kit, the dark tan brown snuff kit, the woodland green leather snuff kit. 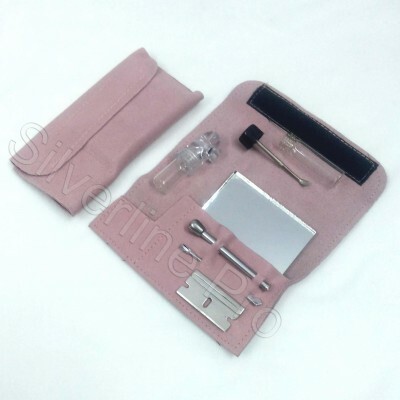 The Kit consists of suede leather wallet, smooth edged mirror, brass snort tube, snuff spoon with chopper, stainless steel blade, we also offer the snuff bottle with the extendable arm attached to it and the snuff bullet with the snuff kit. 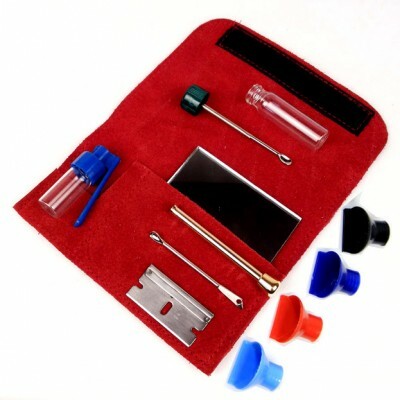 This combination makes it the complete snuff kit which can be readily used any time and can be easily carried inside the pocket. Customization : we also offer the custom made designs of the leather kit with the logo printed on the kit. 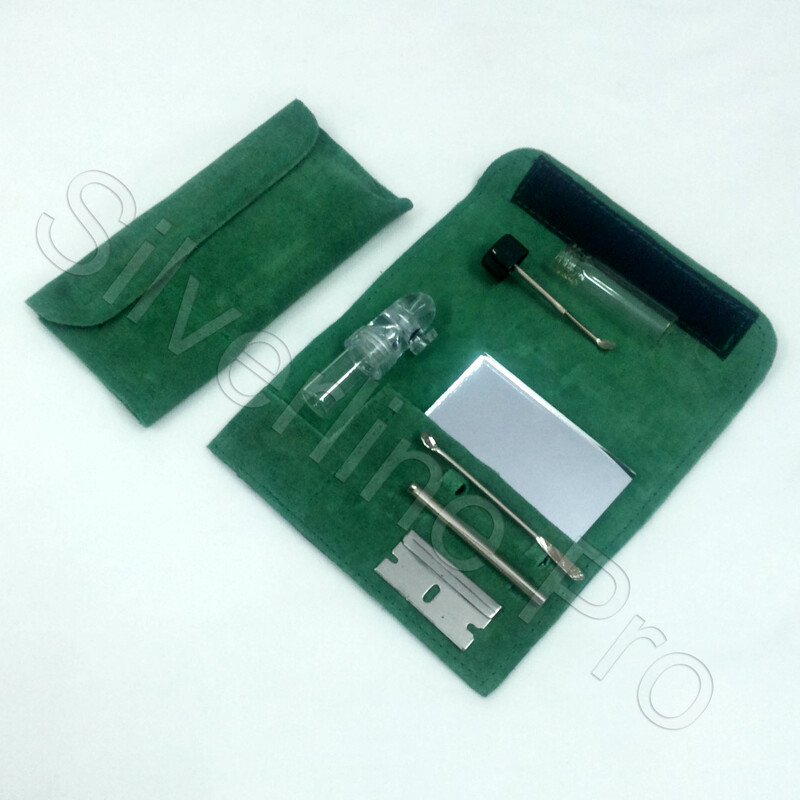 Our snuff kits are widely known in the market for designs and extremely high in quality.